Looking forward to @OnlineSellerUK Amazon training! 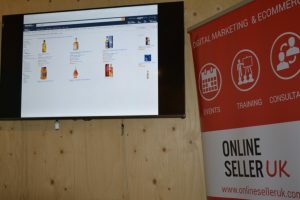 We recently delivered Amazon Masterclass in Manchester. In attendance we had private label, car parts, grocery sellers and an agency. Businesses in attendance were local to Manchester and an attendee from Finland. We are really excited to see the growth in our reach both nationally and internationally. Few months back we had attendees from Germany and Spain. During this course, we covered practical topics – Amazon Listing best practices, Amazon Sponsored Ads, Amazon Vendor Services, Amazon Business reports and Amazon FBA. You can find full details here >. If you are thinking of selling on Amazon or already selling on Amazon our training course will help to you grow your sales. Our training content has been written wit practical knowledge and reflects latest changes.